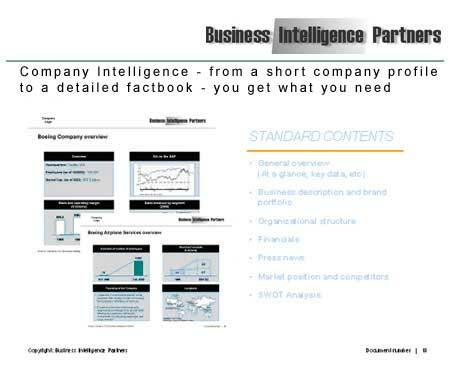 Business Intelligence Partners is a service designed to assist our clients with business and competitive intelligence, and to handle all research that requires the skills of an experienced researcher. 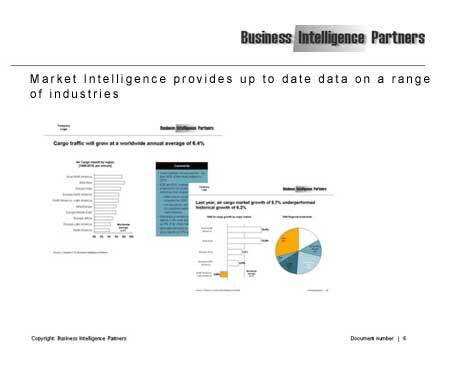 Business Intelligence Partners offers a wide range of products and services, customized to our clients needs. Research for Company Intelligence is charged according to our price list. We adapt to your corporate standards if required. Research for Market Intelligence is charged according to the time and expenses involved. Check our collection of Spanish Market Intelligence - Facts and Rankings at yours fingertips.